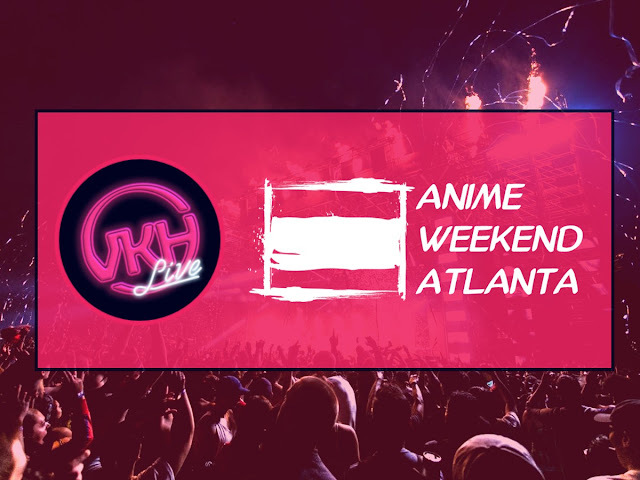 VKH Live - #AWA2018 Recap: MIYAVI, SPYAIR, ROOKiEZ is PUNK'D, and More! | VKH Press – J-Rock & Visual Kei Coverage Worldwide! Home / Media / MIYAVI / ROOKiEZ is PUNK'D / Slider / Spyair / VKH Live / VKH Live - #AWA2018 Recap: MIYAVI, SPYAIR, ROOKiEZ is PUNK'D, and More! VKH Live - #AWA2018 Recap: MIYAVI, SPYAIR, ROOKiEZ is PUNK'D, and More! This year's Anime Weekend Atlanta was one hell of a convention. VKH Press was live on the scene for all of the events last weekend, and we're ready to fill you in on anything you may have missed! Join us tonight at 8:30 pm EST/5:30 PM PST for the ultimate recap of AWA 2018! We will taking questions from the live chat and giving you a sneak peek of some of the photos we took at the the concerts! See you soon! In case you missed it, VKH Press now has an official YouTube channel! You can check it out by clicking here. We will be uploading a lot of interesting content in the future, so make sure you subscribe! For now, we are uploading episodes of our podcast VKH Breakdown with improved audio and a visualizer of the episode's topics list (it's also currently available on Soundcloud, click here to listen!). We also do live streams every Saturday evening on our YouTube channel. Make sure you join us to talk all things J-Rock and visual kei. We will be reading your comments in the chat, so feel free to ask us questions, give your thoughts on artists and events in the industry, or anything else you feel like saying! The exact time of these Saturday evening streams will vary from week to week, so make sure you follow us on Facebook (click here!) and Twitter (click here!) so you know what time to tune in!